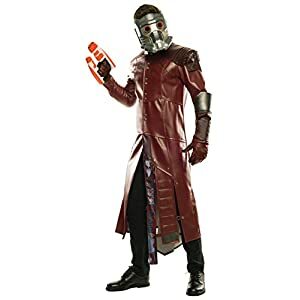 Star Lord has appeared in both Guardians of the Galaxy (2014) and Guardians of the Galaxy Vol. 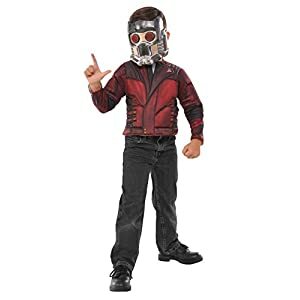 2 (2017), played by Chris Pratt. 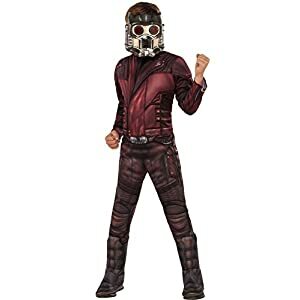 Pratt and Star Lord are also expected to be in the upcoming Avengers: Infinity War as the Avengers join the Guardians to take on Thanos. 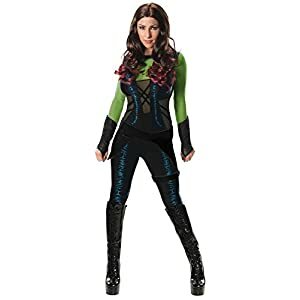 Travel into outer space wearing a costume that�s a perfect fit for the leader of a bunch of real A-holes. 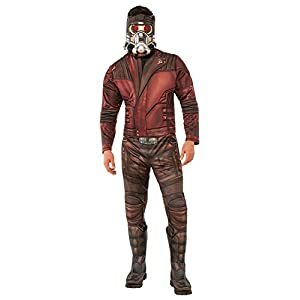 Celebrate Marvel�s cosmic superhero team by picking up the Star-Lord Grand Heritage Costume and party with your fellow Guardians of the Galaxy for a Halloween celebration that�s out of this world. 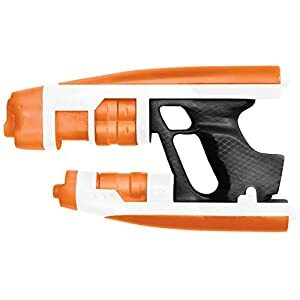 Star-Lord blaster is 12 x 7 x 2-inches, orange and white for safety. 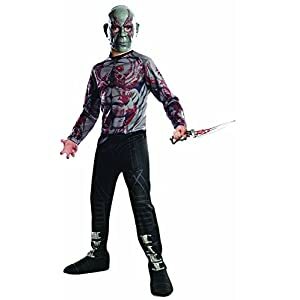 Costume accessory, not designed for play. 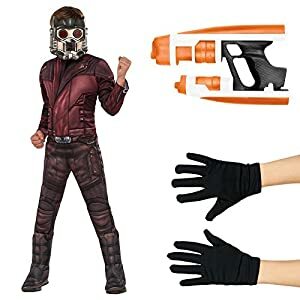 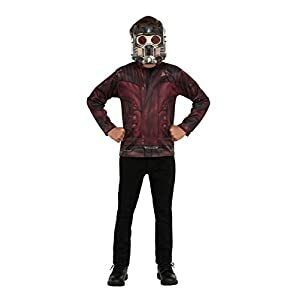 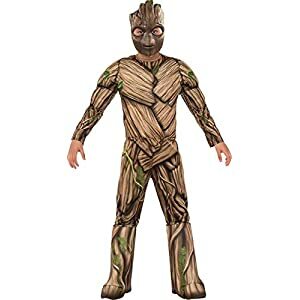 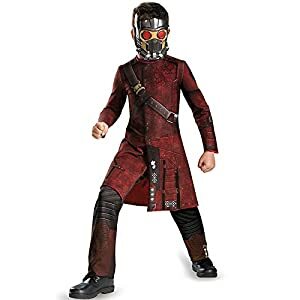 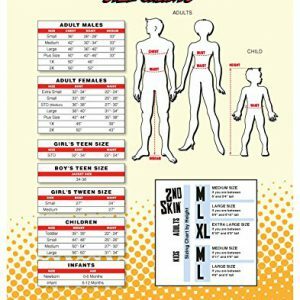 Officially licensed Guardians of the Galaxy costume accessory, only items sold and shipped by Amazon can be guaranteed authentic.